The committee’s 5-0 vote virtually guaranteed passage when the package goes to the full, nine-member council for a final vote on Monday. The Seattle City Council’s public-safety committee passed sweeping legislation Thursday to bolster police accountability and civilian oversight, marked by more civilian involvement in internal investigations and tighter appeal procedures for officers who have been fired or disciplined. The measures would then be reviewed by U.S. District Judge James Robart, who would decide if the legislation conflicts with a 2012 consent decree between the Justice Department and the city requiring the Police Department to address excessive force and biased policing. The committee did not take up last-minute requests to alter the legislation from the Community Police Commission, Police Chief Kathleen O’Toole and City Attorney Pete Holmes. In an 11th-hour campaign, the commission mounted an all-out blitz to gain more power under the legislation. The effort emerged as Holmes, in withering terms, urged the council to rein in the commission, saying it shouldn’t be a collection of experts who believe they know what is best for the community. 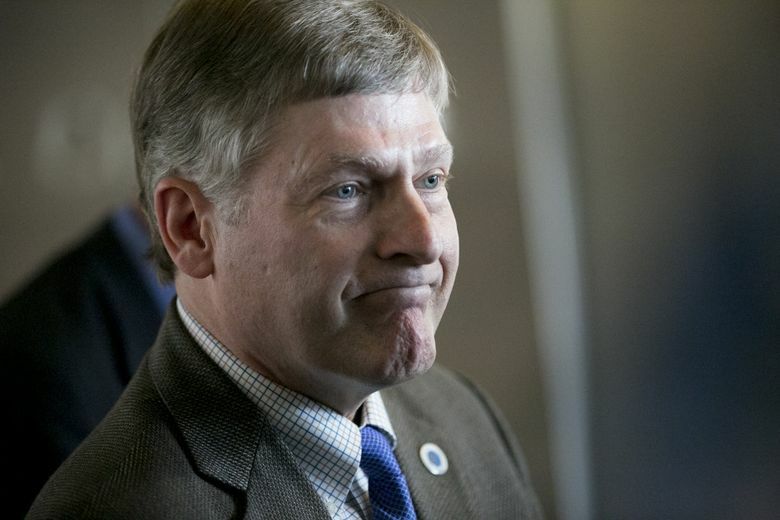 Robart halted a previous legislative effort in 2015 to expand the commission’s authority, calling it an attempt to “grab power” without the approval of the court. He has since allowed a more deliberate process to unfold, culminating in a legislative package in which the police chief would retain final say over discipline, with input from the commission, a powerful new civilian inspector general and the civilian head of the department’s internal-investigation unit. The commission, also known as the CPC, was originally created as a temporary, 15-member body under the consent decree to provide a voice for the community. Under the proposed legislation, the commission would become permanent, with 21 members, a bigger budget and a greater role in shaping citizen oversight of police discipline and internal workings of the Police Department. But the council committee rejected a proposal that would have given the CPC the authority to formally evaluate and not just provide input on the performance of the inspector general, as well as of the director of the Office of Police Accountability, the newly named internal-investigation unit now called the Office of Professional Accountability. The committee also voted down a proposal to allow the commission to add topics to the work plan of the inspector general. It can only suggest items. “It is essential that the police-accountability system and police services reflect community priorities and values. 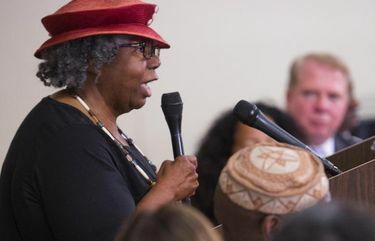 This requires a community board, representing community interests, to exercise system oversight, which will provide legitimacy for the accountability system and give the public greater confidence in SPD,” wrote the Rev. Harriett Walden, Enrique Gonzalez and Isaac Ruiz. On Tuesday evening, the commission forwarded a letter to the council from more than 40 community activists and organizations urging the council to adopt the proposals, along with more funding and a greater citizen-oversight role in negotiations with the police unions. Holmes, however, raised alarms last week about the CPC’s proposed role. “The legislation … proposes a larger, less-focused and much more expensive CPC, which could undercut the reform progress made to date,” he wrote in a letter to City Council President Bruce Harrell; M. Lorena González, chair of the council’s police-oversight committee; and Tim Burgess, the vice chair. He urged that all commissioners — who are now appointed by the mayor and confirmed by the council — be appointed by either the mayor, the council or a combination of the two. In last-minute letters, Holmes and Police Chief Kathleen O’Toole called for giving the inspector general an elevated role, acting as the clearinghouse for recommendations. The CPC, in a statement, said the commission serves as an important check on abuses and failures of police oversight professionals, who tend to come from a narrow pool with a stunning lack of racial diversity.